Bavaria will also be bringing the full Nautitech range to the show. Last year the organizers kept a nice surprise in store with Vitalia 2. What are we going to see this year? The Native trimaran will also be on display. The Bali range will be there in full, making this a great opportunity to see these innovative catamarans! This is the Lagoon 400 which charter company Kiriacoulis is bringing along and will be beaching at La Grande Motte. A boat and the end of her charter program which will be really interesting to see! 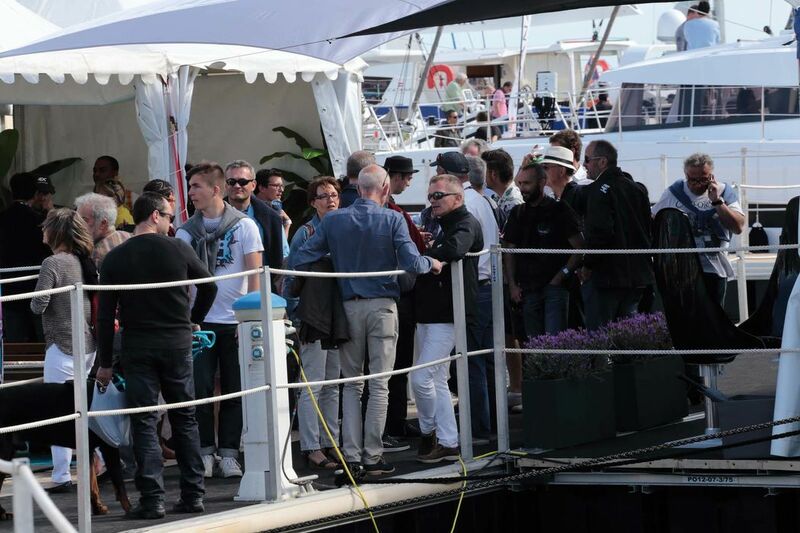 Of course, the multihull show is the opportunity to visit and even try out catamarans and trimarans, from 7 meters to over 20, but also to discover numerous new models in their first public appearance, as well as almost all the range from the biggest boatbuilders. More and more people come to this show every year from all four corners of the world to celebrate, with us, the multihull in all its guises. In fact, since the very first edition in 2010, this show has become one of the major events in the (minor) world of cruising catamarans and trimarans, yet has remained on a size of a human scale, knowing that first and foremost, it is about passion and having fun. This year, the organizers are expecting sixty multihulls of all sizes and to suit all tastes. Whether you are a fan of racing, or of dayboats, or of long distance cruising to the other side of the world in the greatest of comfort, there’s going to be the boat you’re looking for at the 2017 International Multihull Show. Dates: Wednesday 19th to Sunday 23rd April 2017. Place: La Grande Motte, 20km from Montpellier (South of France). Opening times: 10am to 7pm daily (except Sunday, closing at 6pm). 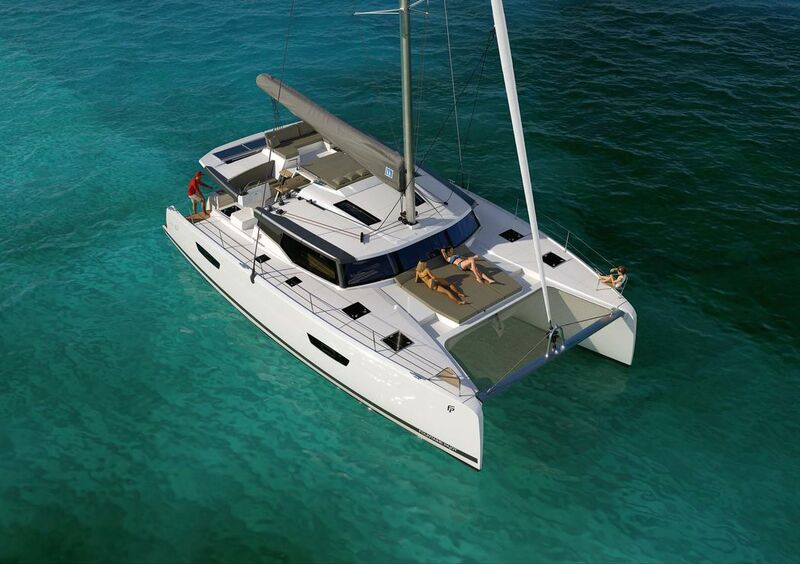 The new Alibi catamaran, built in Thailand, will be on show in this new version for a world-first presentation at the International Multihull Show. A world-first which is going to stand out, in as far as this catamaran looks exciting… 11 tonnes and ready to sail at speeds equal to or superior to that of the wind. It’s simple, with 15 knots of wind, you’ll be doing 20 knots! 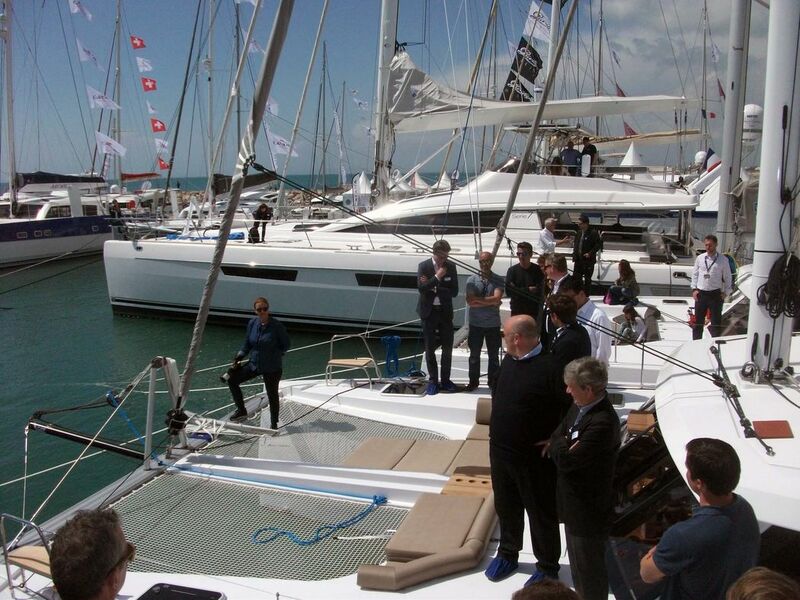 The latest from the Catana yard is going to be on show for the first time at La Grande Motte. 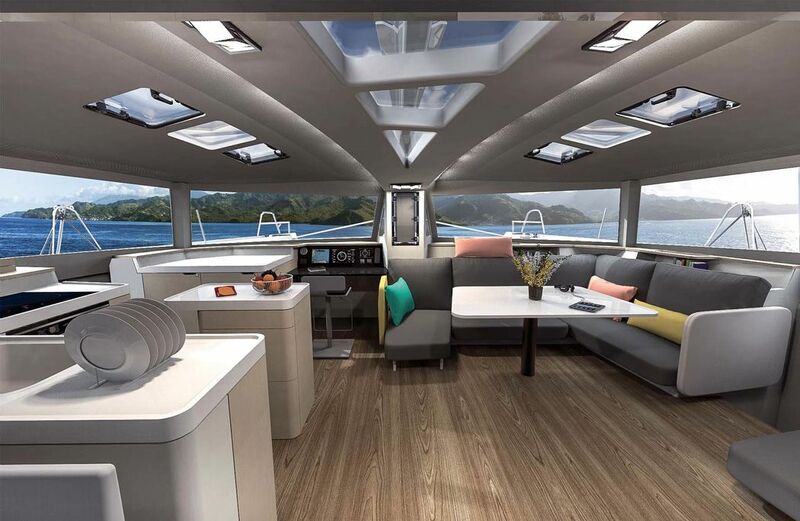 This entirely new catamaran is following in the same vein as her predecessors, with pronounced hulls, inverted bows with chamfered edges and high freeboard. The 53 is a judicious choice for an offshore program, especially with exacting crew looking for performance. Thanks to the extensive use of carbon fiber, the yard has achieved a good weight without having had to sacrifice volume. And there are, of course, the famous curved daggerboards offering significant lift to improve performance.